Lithography is a critical enabling technology for manufacturing nanoscale devices and structures. Suppose nanolithography tools cost just a few thousand dollars a piece instead of a few million dollars. These cheap tools would wide open the fields of nanotechnology to practically every university and industry researcher interested in the field. Nanowerk spoke with Professor Ted Sargent, professor and Canada Research Chair in Nanotechnology at the University of Toronto and author of the recently published and highly acclaimed book The Dance of the Molecules. As a novel superstructure, single-walled carbon nanorings exhibit interesting transport properties, such as Aharonov-Bohm effects, magnetotransport or establishment of persistent currents. Researchers in China have developed a new technique to produce large quantities of small-diameter single-walled carbon nanotube (SWNT) nanorings. Researchers in Canada used the electroless deposition process for self-assembling Palladium nanostructures, such as wires, from nanoparticles on a rough stainless steel substrate. This discovery holds a lot of potential for various engineering applications because the deposition process and the preparation of the substrate are simple and inexpensive. Coating metallic nanoparticles in boron nitride could lead to new biomaterials for medical research and applications as well as nanoscale electromagnetic high frequency nanoscale electromagnetic devices. Building reliable interconnections between carbon nanotubes (CNTs) and external electrical and mechanical systems is an essential prerequisite to exploring the potential of CNTs in various domains. The formation of a stable and low-resistance ohmic contact between CNTs and electrodes contributes to speeding up the development of applications with CNTs in nanoelectronic devices with small size, fast speed and low power dissipation. There is universal consensus among scientists and researchers that more work is needed on all of the new carbon nanomaterials that have been developed over the past years to adequately assess their toxicity and health risks. A recent review addresses the current status, trends and perspectives of this issue. 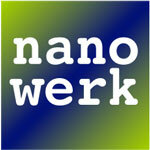 Fabrication of nanowires arrays with different patterns and separations is a major concern of the nanowire community. For this purpose, a catalyst template, which is usually a metal nanoparticle array, is needed to guide the nanowire growth.